I am sorry I have been spotty in my blogging. There has been so much going on (which I know is true for everyone). 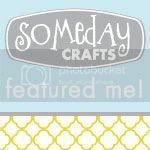 Normally my down time in the crazy times is blogging and design work. It is my creative outlet, social outlet, community, and even sanity. But lately in the down times, I just truly want down time. God is trying to work on me, and I want to be still and quiet so I can hear him. So I am going on official sabbatical for the month of June. 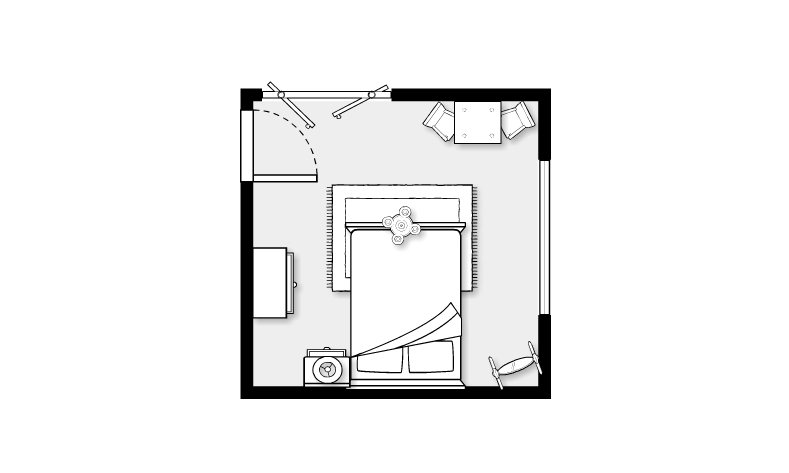 No blogging (writing or reading), no new design work. Just a month of hanging by the pool, loving on my kiddos, and enjoying the great people in my life. I will tell you all about what I learned when my mind is clear and refreshed! 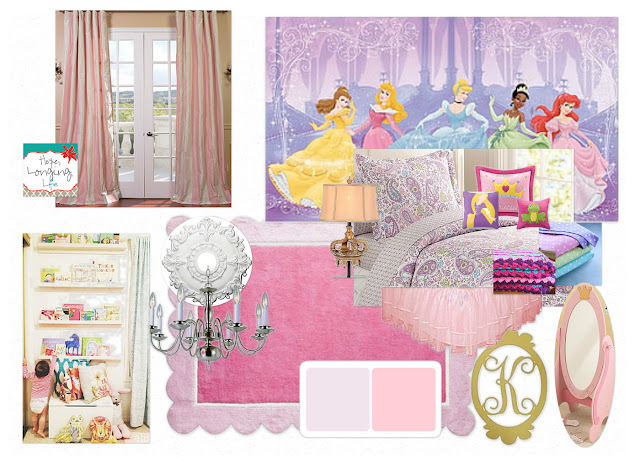 What do you do when your Kid asks for a themed bedroom!?! Every parent probably gets asked this question at some point. "Mommy, I want spiderman sheets, Lightning McQueen Bed, Cinderella's castle on my wall..." The list is endless. I really don't have a problem with putting a few themed touches in a child's room. It makes them SO excited. My problem comes in with the attention span. Dora today, Tinkerbelle tomorrow. If your kids are like mine, there "favorite" thing is a moving target. So, what is the solution? Simple removable touches. Don't buy the themed bed or bedding. Choose something that can grow with the child and be accented with the theme of the week. The room is regal and feminine. 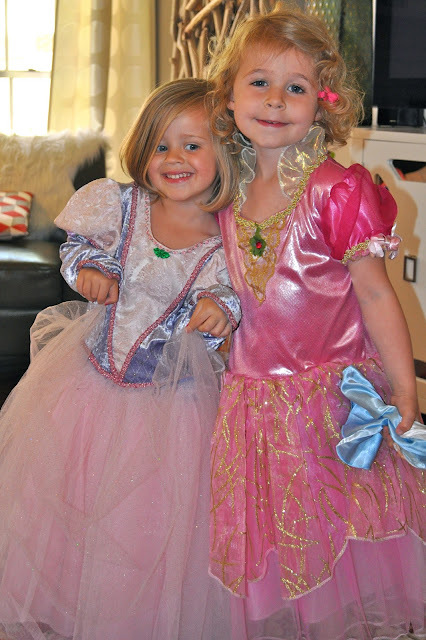 The princesses made their way in on a large scale mural that will take up one entire wall. I suggested painting the whole room light purple before applying the vinyl mural so that the room does not have to be repainted if the mural comes down. 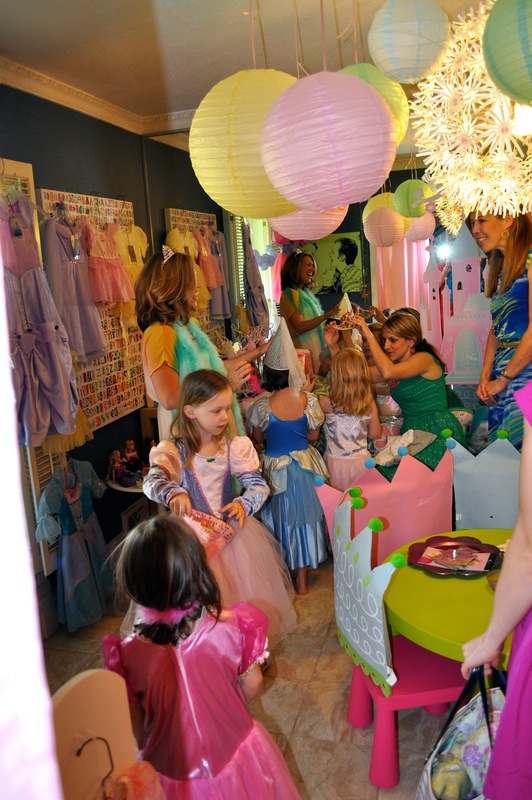 There is no mistaking that this room is disney princess, but take away the mural, and you just have a feminine little girls room. I am in love with the modern Rapunzel pillow. This Mom is crafty, so the room has a few DIY projects. The chandelier and lamp will get painted into a glossy pink and the reading wall will be created with floating bookshelves. I love the taffeta drapes and the elegant touch they add to the room. 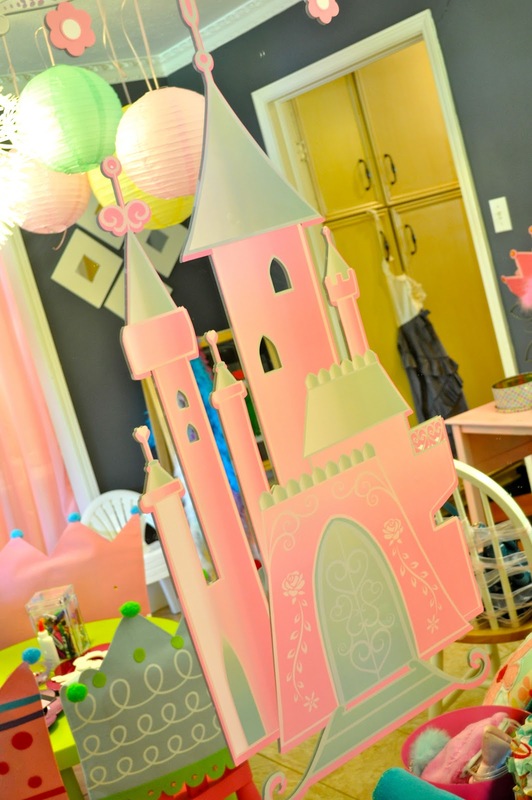 They needed to look expensive and custom, so that they room did not feel like a "Disney room in a bag." Not that there is anything wrong with that :). So, what do you think? Would you let your child pick the theme for their room? I say go for it, but email me, so we can pull it off with style! It has been awhile since I have written a funny Friday post, but this week is one for the record books! All it takes is an InstaUpdate to see what I mean! Lost little man and ballet class....this is where I found him! My sister asked, "What did you do!" I replied, "Took a picture of course!" I was giggling too much to get that mad. Hopefully it was an isolated incident :). Then my adorable little puppy brought me this! She was shaking it in her head and just came bounding into the house with it. 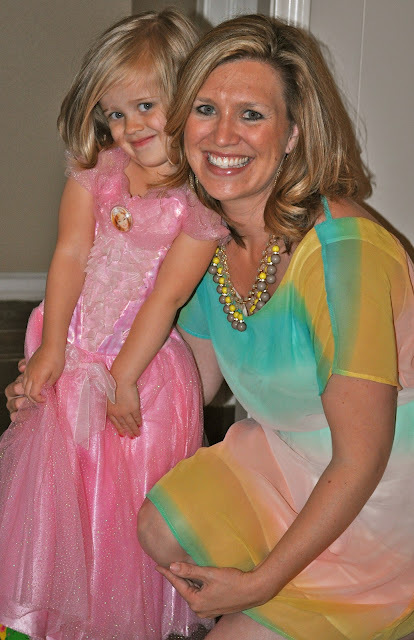 I was not sure what my threshold for yucky was as a Mom...but this was it! So creeped out! It rained all day on Mia's birthday but she was determined to play with her new trampoline. This was her solution. Sun hat, bathing suit, and rain boots! Silly girl! Her brother eventually joined her and they had so much fun jumping in the rain! Not pictured, but worth noting. Our silly puppy went sticking her nose where it does not belong (in a fire ant mound) yesterday morning. 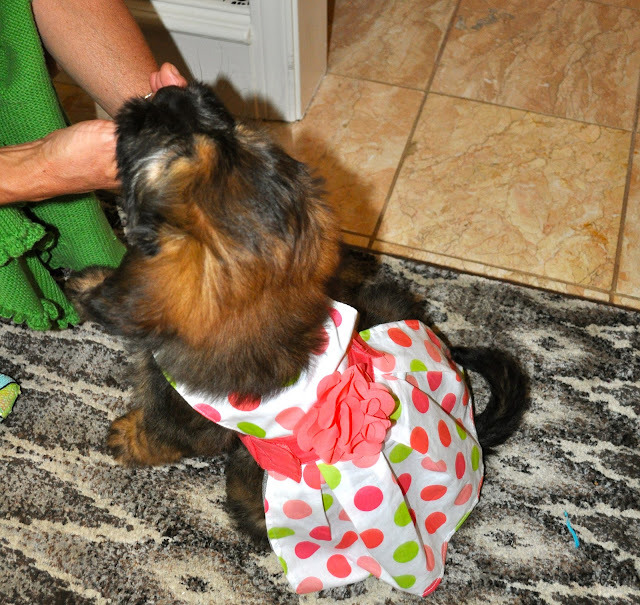 She was running around going crazy and whining. We we finally got to pick her up, we noticed her face was swelling up SO big! Quick trip to the vet for benadryl and steroids and she is much better now! Seems like we might have another allergy situation on our hands! of course our puppy would have allergies! Whew! What a week! It was fun, crazy, and had no shortage of laughs! Here's to a great (and hopefully uneventful) weekend! 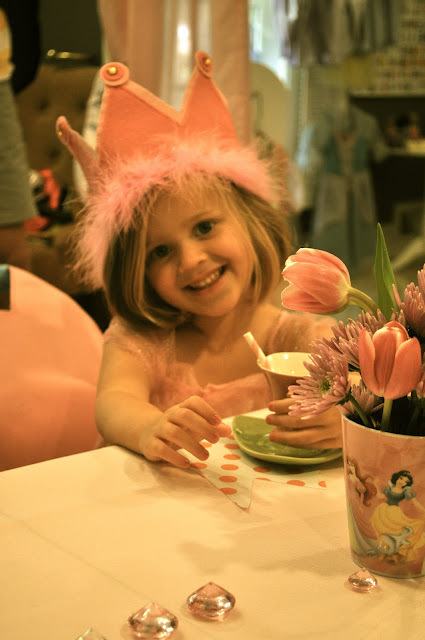 My precious baby girl is 4! I have been emotional about this birthday for her not because I am sad to see my baby grow up, but more in awe of the amazing little person she is becoming. 3 had its challenges! More school, less naps, more freedom, less coddling, more responsibility, and less assistance. I am sure that will be a lifetime journey, but the transition from baby into little girl was not easy for either one of us. She is through that now and grown so much in maturity. She loves her brother and helping me meet his needs and almost always has a willing, helpful heart! - she mainly drinks milk, but never turns down pink lemonade! - she can memorize a memory verse in no time at all and enjoys it! 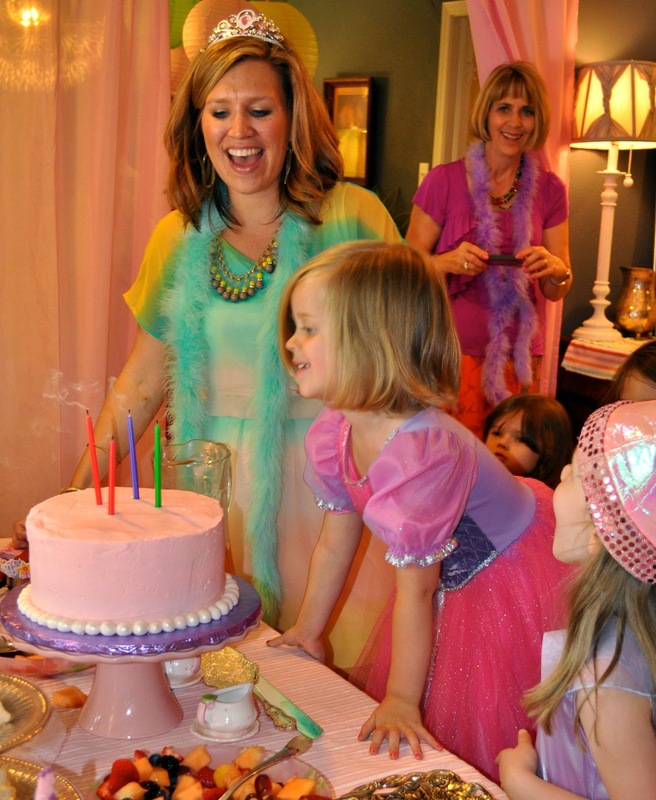 - her favorite books are Pinkalicious and Fancy Nancy. She has recently gotten into Gigi too. - She loves edamame and broccoli, no hot dogs. Go figure! - she likes her window down when riding in the car and kids praise music turned up! - she loves make believe and fairytales and is SO disappointed that I married Daddy so she can't! - She is dramatic! She says phrases like "it is just SO beautiful!" or "I can't believe it!" My personal favorite though is "It's ALL my fault!" - her heart is truly full of joy! She loves to get excited about the little things and I LOVE that about her. She is not perfect, but she is perfect for me! Mia Claire, We love you SO much! You are a gift to us in so many ways. I hope someday I am able to explain to you all of ways God has healed me and brought joy back to my life through you! Your sweet spirit is endearing and contagious. It shows in your friendships! I know God will do amazing things through you if you continue to allow him to shape that heart. You are His princess and He chose you out of all the people of the earth as his personal treasure (Deut 14:2). We can't wait to see what you do with that high calling! Happy 4th birthday. May each year just get sweeter than the next! 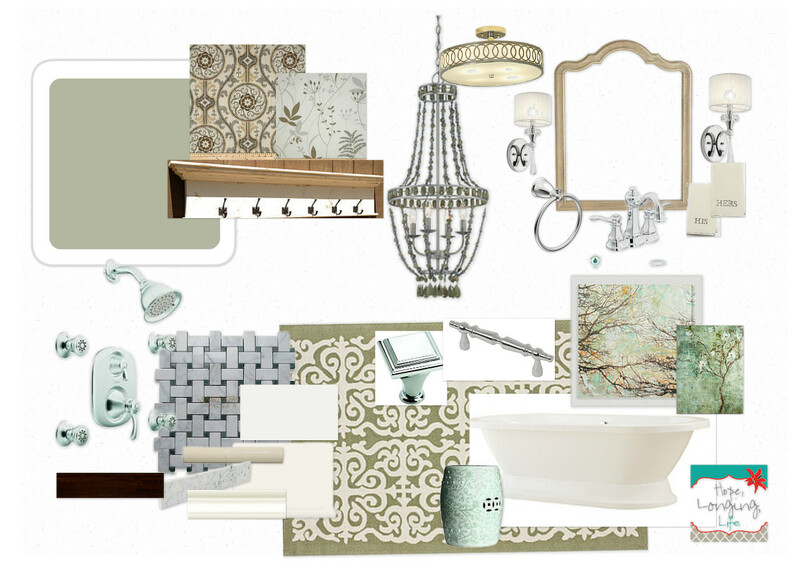 I recently completed a bathroom design plan for an e-client. It was a new challenge for sure, but I think it will work out nicely! I found the tile at stores we both have access too so I could ensure a good match and wrote up detailed instructions for the tile installer. The standard built in bathtub will be replaced by a lovely pedestal tub. Arched mirrors with sconces will also give a more custom feel. I used a lovely marble mosaic as an accent throughout the room, but also included subway tile to give interest and save the budget! 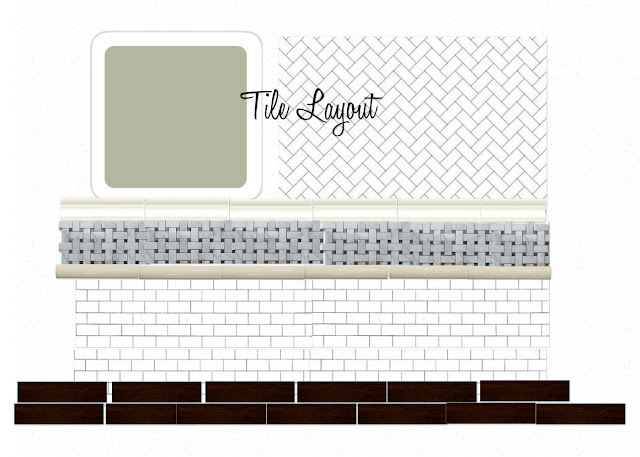 The tile layout is not color correct, but it gives you an idea of the pattern. There will be a tall wainscoting around the room with the above pattern. The herringbone pattern will be on the top half of the shower. Soothing gray/green walls will give that natural spa feel. We selected ceramic tile for the floor that looks like wood. It will be so warm running under that stunning bathtub! 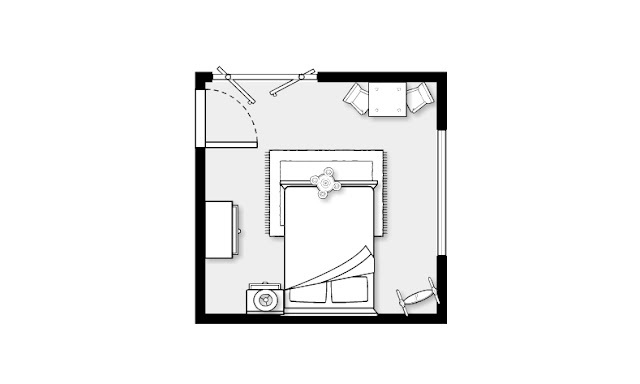 Here is a look at the bathroom now. We are leaving the cabinets and countertops, but updating the rest. The tea party was a success! We had so much fun celebrating princess Mia and all of her dear friends! 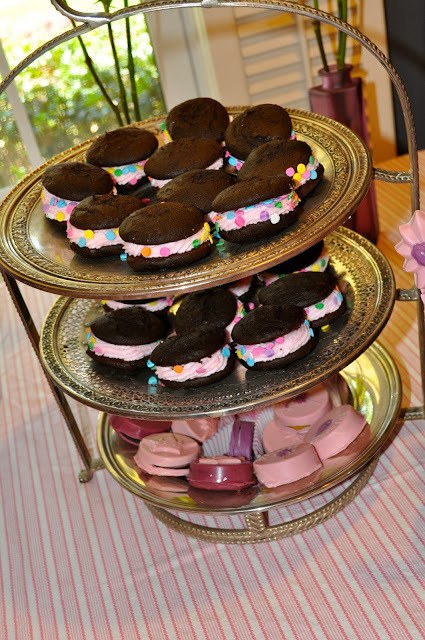 Here is party recap! 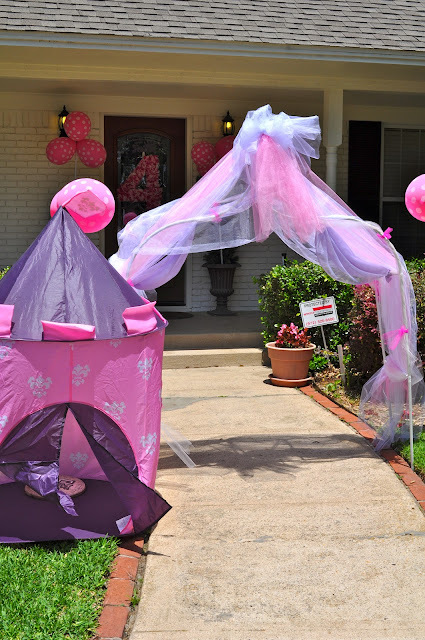 Princess archway rented from Simply Pretend and princess castle tent. 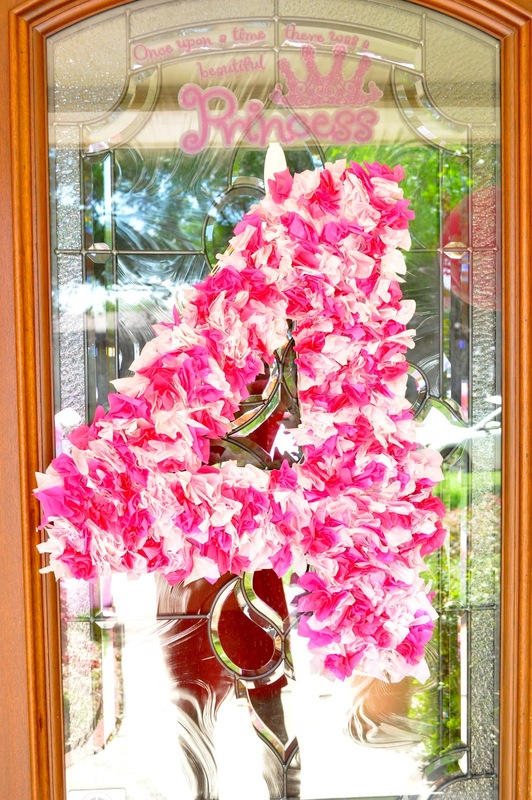 "4" wreath made from foam we cut out and tissue paper squares hot glued on. 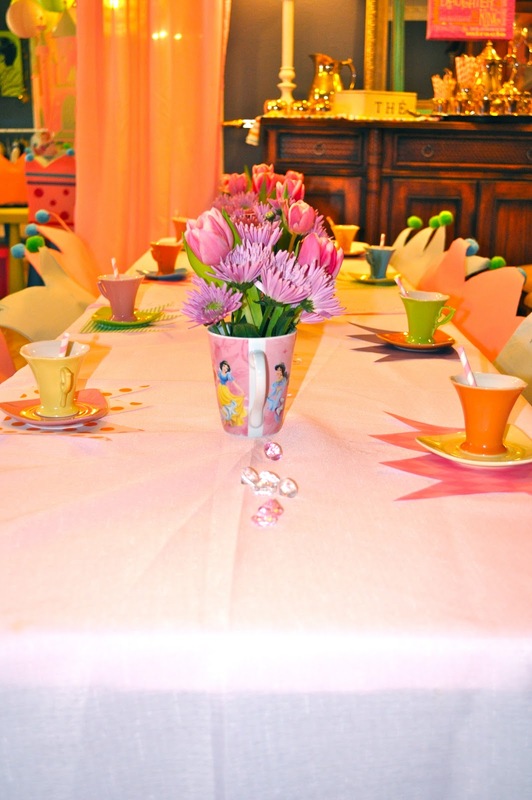 Tea cups! Everyone got to take their's home. 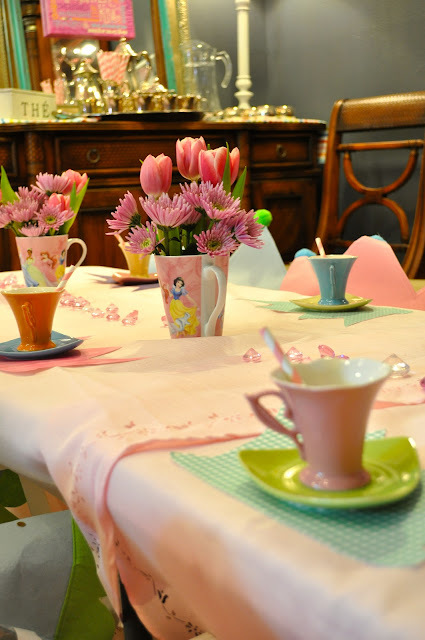 Princess coffee mugs made for the perfect centerpiece vase. Tea Station. We had Hot English Tea and punch from the Perfect Punch Company. Delish! The cake! Vanilla bean with buttercream icing. Ordered from Lisa, a lady I use for all parties. Let me know if you want her number. The cupcake crowns in the back are made from gum! 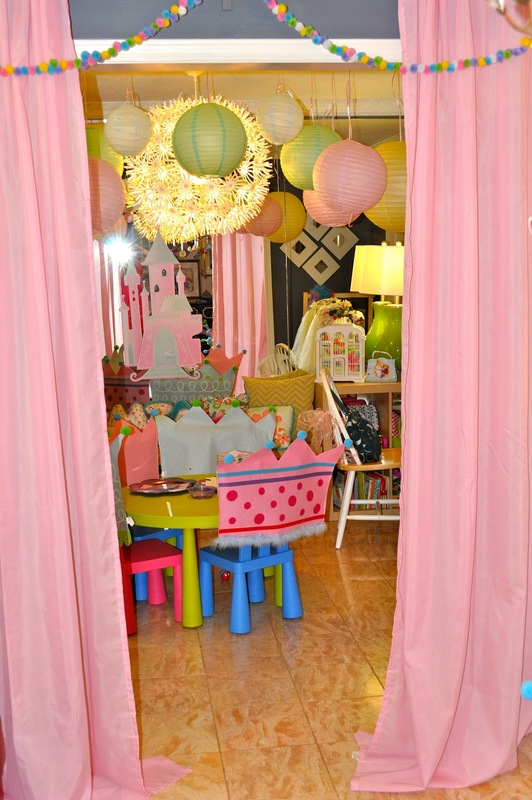 The entrance was framed by pom-pom garland and pink curtains. The ceiling was decorated with paper lanterns. Hair and makeup station. The girls got to use blush and tinted chapstick. The pearls and hair bands were from simply pretend. The dresses! All so lovely! 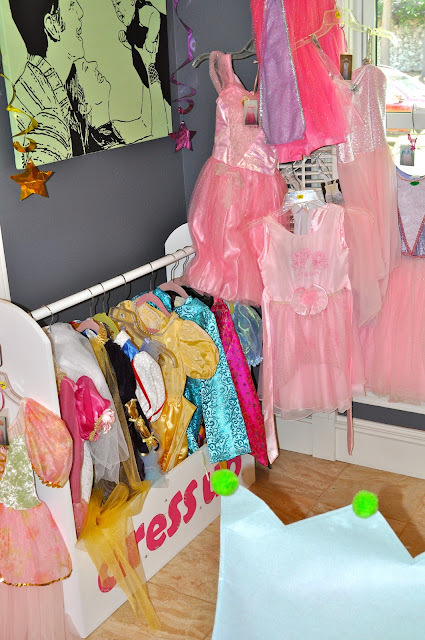 Some were from Mia's collection, but most were from simply pretend. 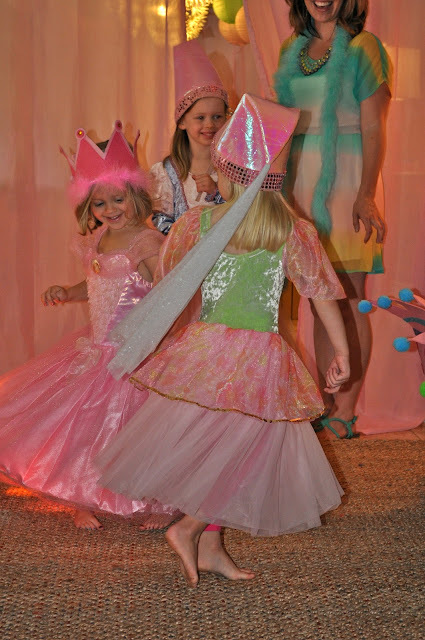 Twirling during the fashion show! ZaZa's dress! Thanks Aunt Heather! 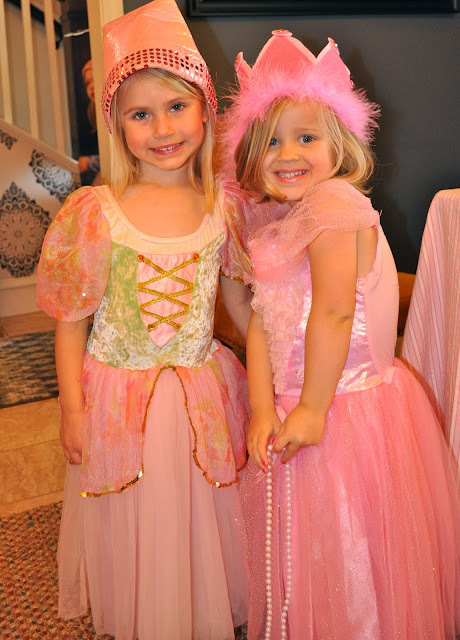 We read Gigi's Princess Tea Party. I cried like a baby at the end. These lovely girls are all God's princesses and it is such a blessing to me to watch them grow into that big title! The knight going after the princess! Of course Tripp had sword! 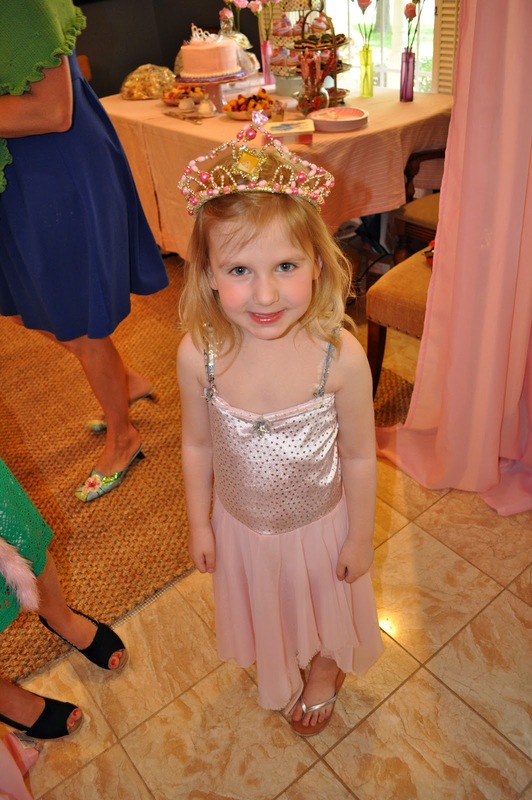 Thank you to everyone who came to make Mia's party so special! She loves all of her friends so much. She does keep telling me that her next party all of the "babies" and boys will be welcome. Such an inclusive hostess! Love you Mia girl...excited to celebrate you all week long! In 2007, God blessed us with a baby girl, Lilly. In 2008, he called her home. He has blessed us with new life again, Mia and Tripp. 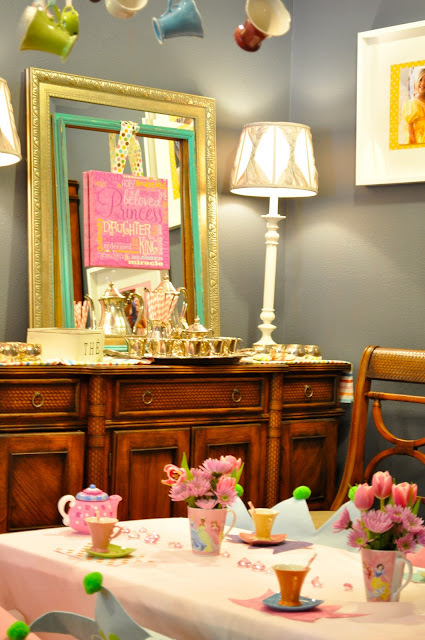 I am a stay at home Mom and in those fleeting moments of free time, I love to dabble in home design. Please enjoy following our journey through this fallen, but very beautiful world. Cause you see, I'm not just your mother, A long time ago, I lost another.